Some families have been in the wine business for so long they’re said to have wine in their veins. Winemaker Kristin Jolley does indeed have a generations-old family wine connection, but her family history is less glamorous than most. 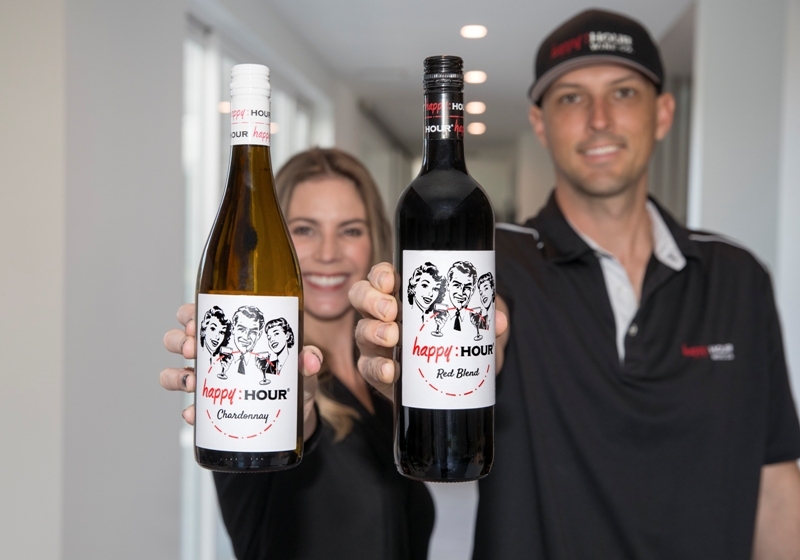 Kristin and her husband Stephen own Happy Hour Wine Company. The brand is focused on selling easy drinking wines, which after only two years are available in 23 states. 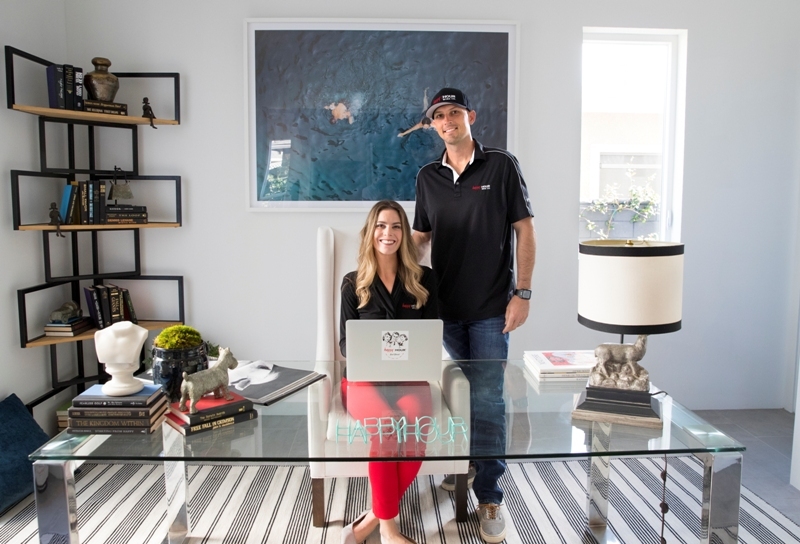 Kristin, a Redondo Beach native, studied supply chain management in college and was working for the Fresh & Easy grocery chain when she had an epiphany. The trademark had already been registered, but Kristin couldn’t find any evidence that the owner was doing anything with it. The precious trademark having been acquired, Kristin and Stephen now had to figure out what to do with it. Kristin had taken wine classes and had a good idea of what she wanted. A friend knew a fourth generation winemaker in the Spanish province of La Mancha. A trip was taken, an agreement was reached, and they started collaborating to create a red and a white wine. The wine business was a sideline for Kristin until the sudden closure of Fresh and Easy presented her with a stark choice: find another grocery marketing job or make the wine business a full time job. She chose the wine business. Stephen kept his decade-long career as a firefighter and worked with his wife on his days off. Together they designed the label, which has a retro look, reminiscent of 1950s’ advertising, which appeals to their target demographic. Kristin and Stephen have been piling up the frequent flyer miles going back and forth to Spain. Kristin was emphatic in saying they don’t want or need to have a product in every category.